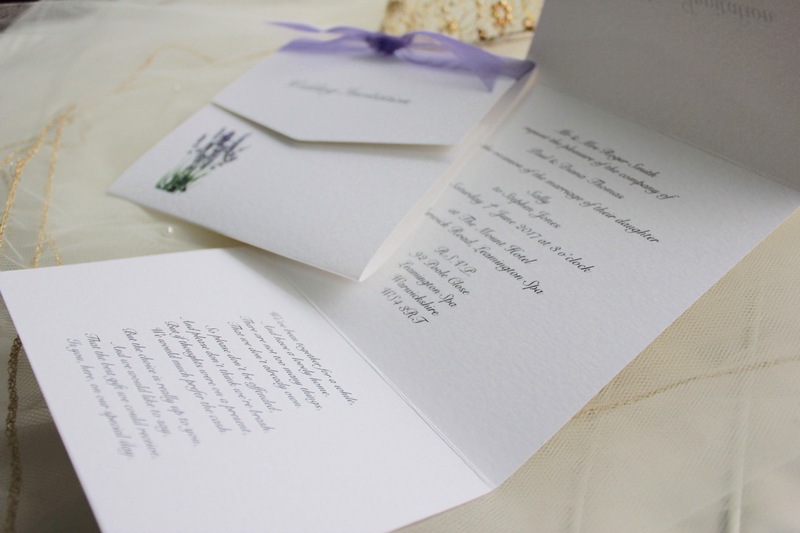 Lavender Tri Fold Wedding Invitations are our most popular wedding invitation design! 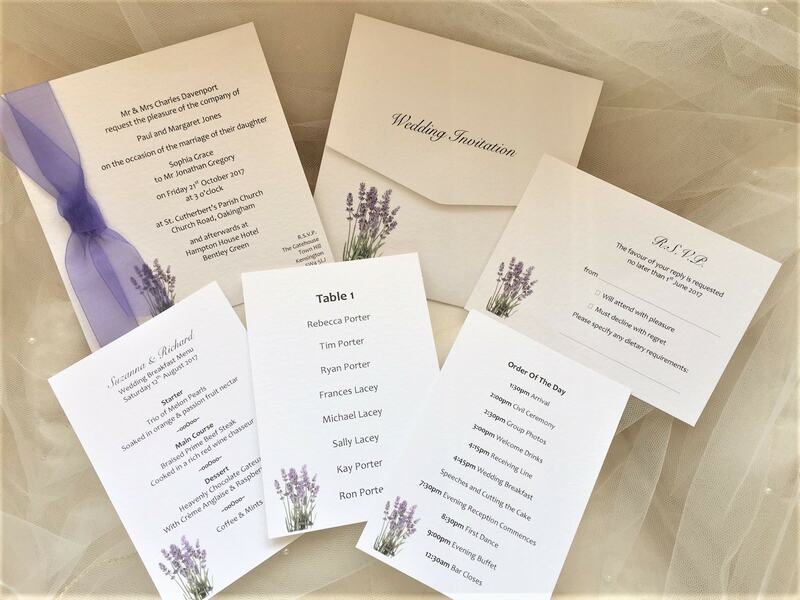 Our top quality Lavender Tri Fold Wedding Invitations are supplied on a thick heavy weight (270 gsm) hammered textured card and are available in white or ivory. These attractive wedding invitations are part of our Lavender Wedding Stationery Range. The tri fold style offers three areas for printing, top, middle and bottom panels of the invitation. We can print whatever wording you wish. Photographs of wording are for illustration purposes only. 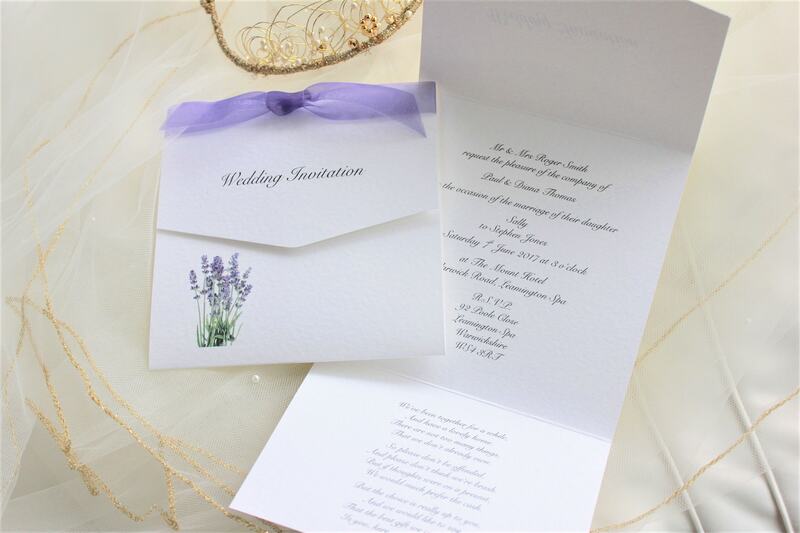 Lavender Tri Fold Wedding Invitations are on trend for informal themed country weddings. Country style weddings with Jam Jars, Lilac Gingham table cloths, wild country flowers on the tables and hay bales all lend to a relaxed, laid back feel to your wedding day. 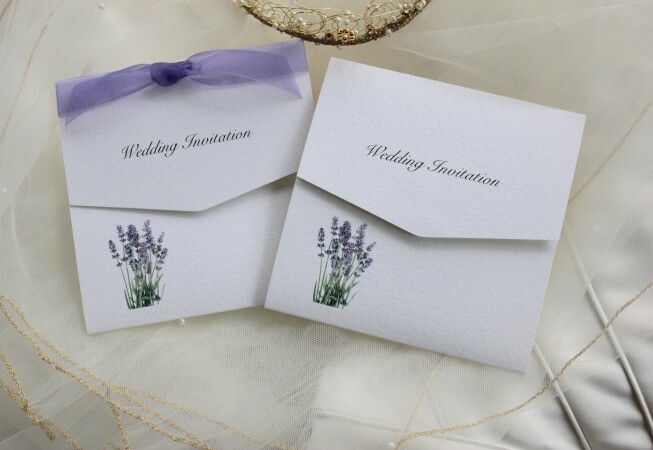 Lavender Country Flower Wedding Invitations ideal for weddings held in barn style venues.